Yeng Constantino admits she wants to be a mom already. 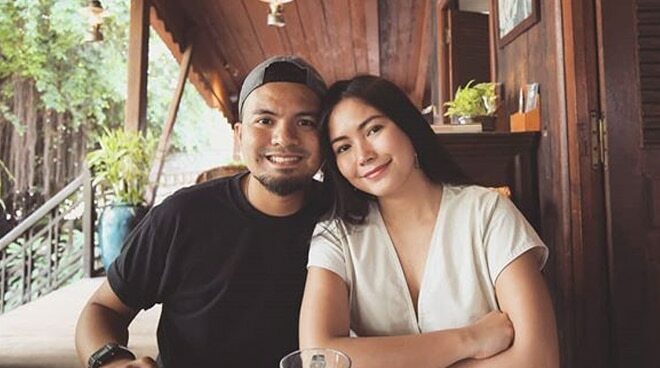 Yeng Constantino confessed that she is now ready to become a mother. In her latest vlog, Yeng remarked that she wants to have a a baby soon. "Excited na ako magbuntis. Nakita ko nga post ni ate Sitti buntis siya and ate Jolens (Jolina Magdangal), kakapanganak lang kagabi," Yeng said. Yeng shared that she could already imagine herself wearing maternity clothes. She even asked fellow singer Erik Santos to be the godfather of her future child. "Basta Erik 'pag ako nabuntis alam mo na, ninong ka, huwag mong tatakasan ang inaanak mo," Yeng told Erik during their conversation in the dressing room. Yeng's newly uploaded vlog already gained 32k views as of this writing. Netizens expressed their excitement for the singer. The singer got married in 2015 to Victor "Yan" Asuncion.